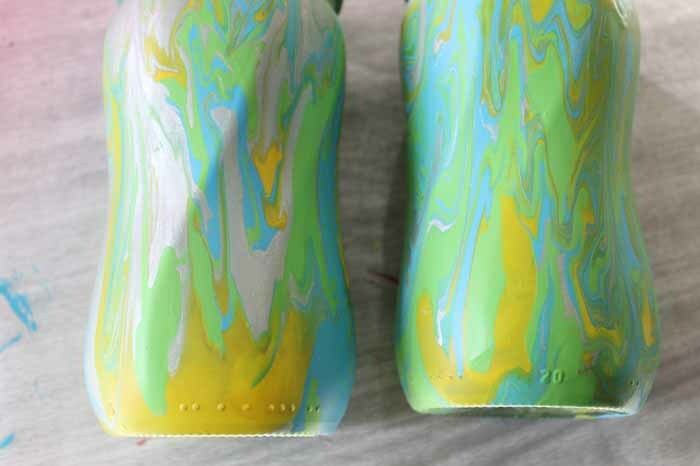 The pouring medium thins the paint and allows it to easily flow across a surface. It doesn’t alter the drying time or the color. Plus it is super easy to use! 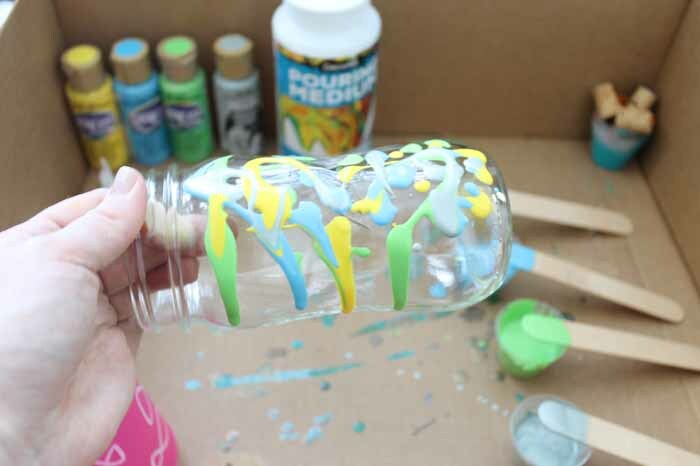 It is perfect for acrylic pouring on any surface. 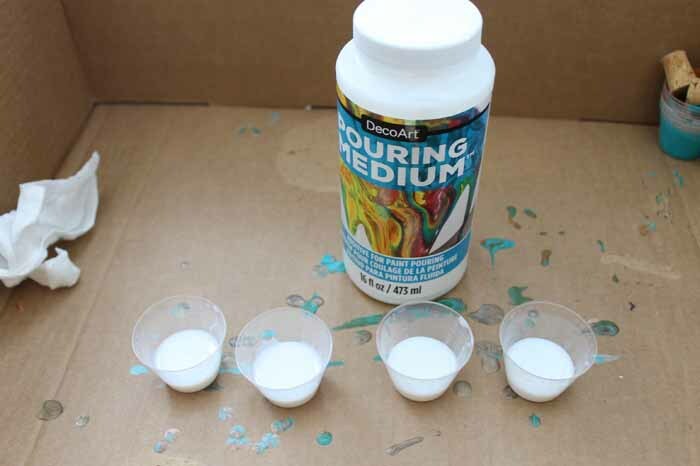 Start by adding the pouring medium to small cups. 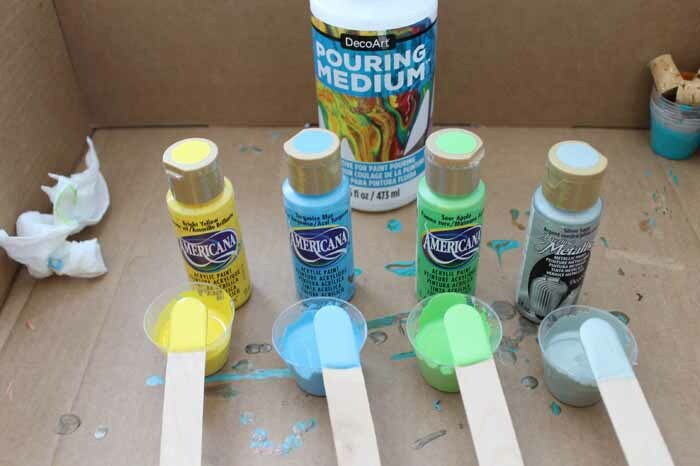 For acrylic paint, try a mixture of 1:1 for your paint to pouring medium mixture. You can change it up if the mix seems to thick or thin. 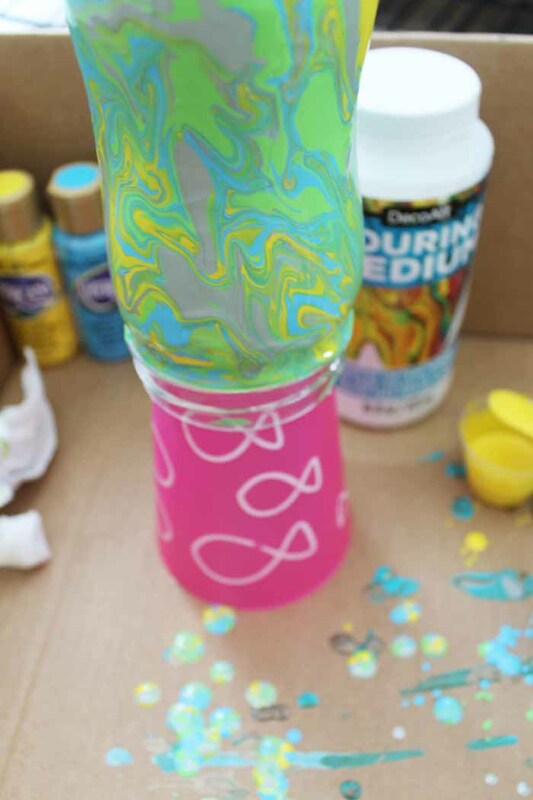 Add in the paint to each cup and mix well. I like to use craft sticks for this portion. I also like to do my project inside of a box to control any spills. 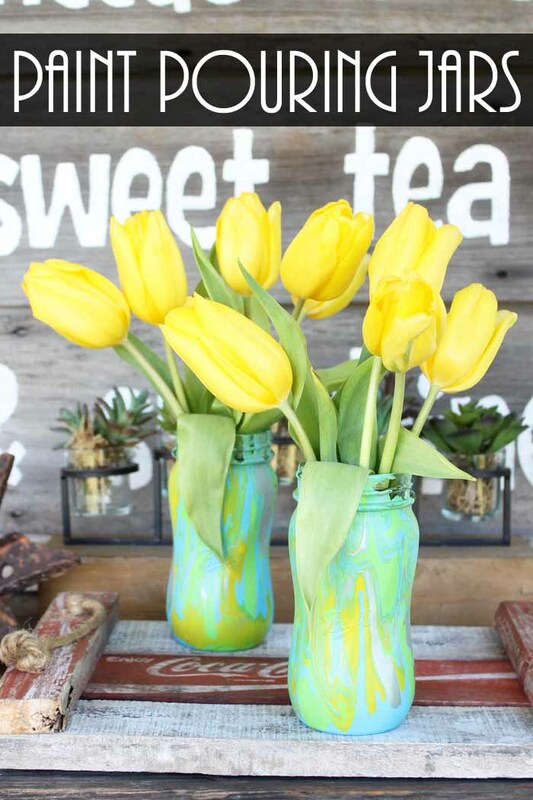 Use the craft sticks to start adding paint to your mason jar. You can use any colors that you like on your jars and as many different colors as you would like. 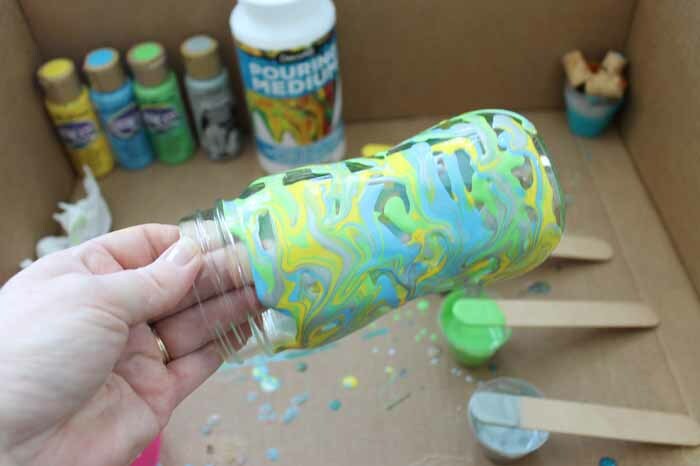 Keep adding the paint and tilting the jar until you get complete coverage. You can use your craft stick to move some of the paint to cover gaps as well. Once covered, add your jar upside down to a plastic cup. Remember that this cup will get ruined so it is best to use something that you can throw out. Repeat for as many jars as you would like. Allow them to sit overnight to dry completely. 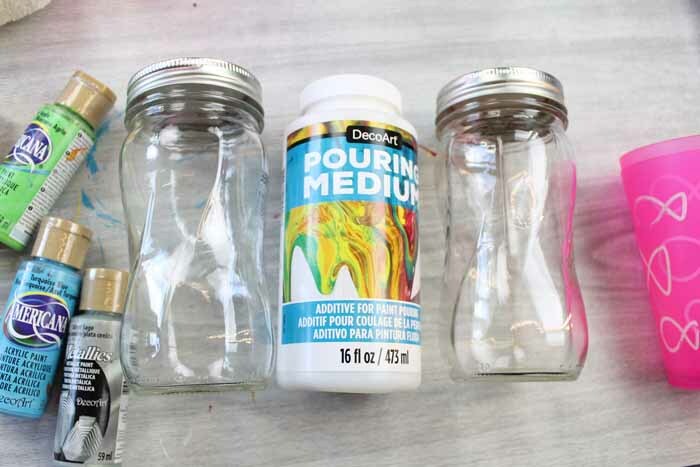 Remove the jars from the cups and trim away any excess drips from the top of the jars. 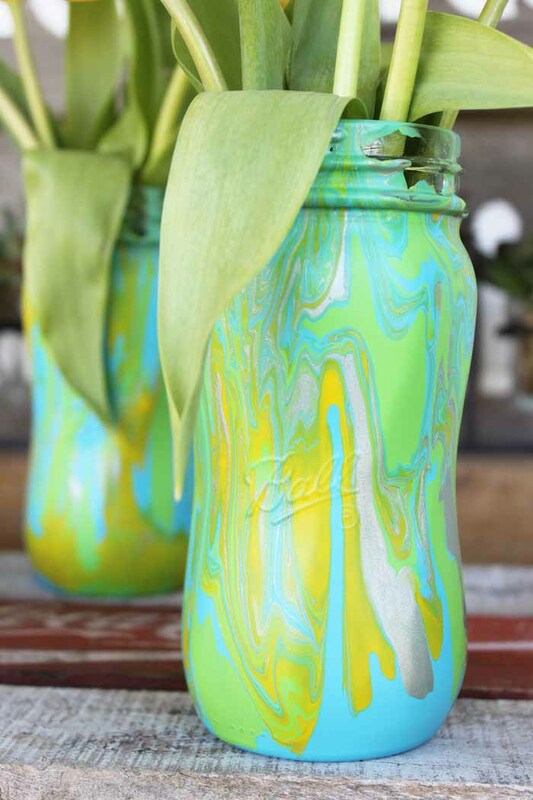 Marvel at that acrylic pouring and the effect it makes on your jars! 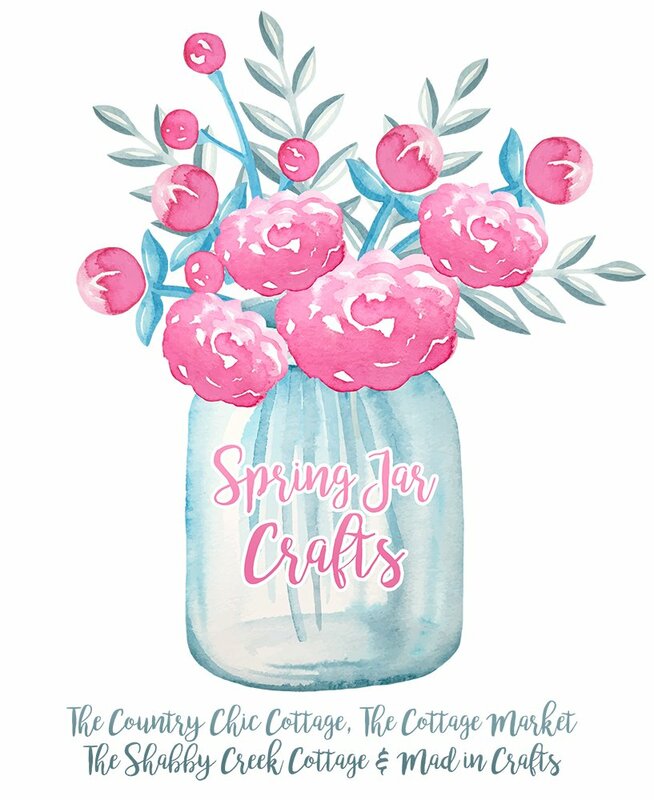 I absolutely love how these jars turned out! 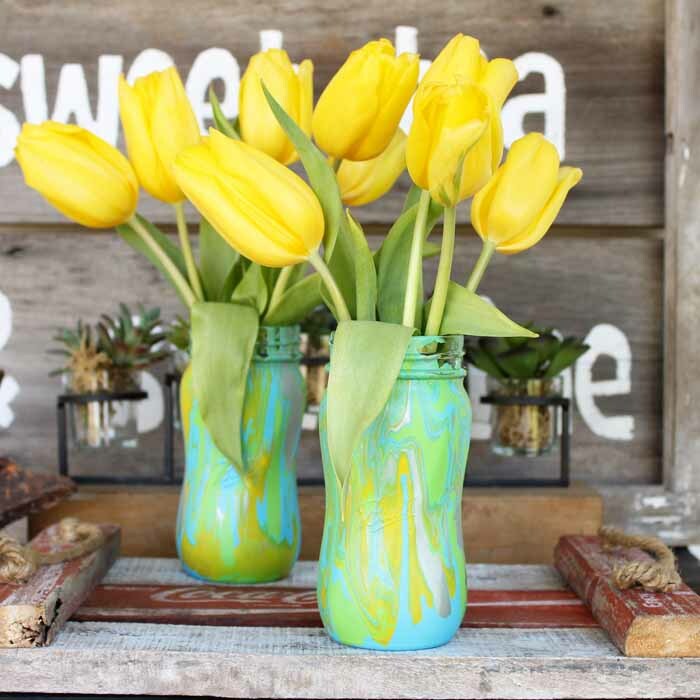 They are the perfect spring vase. 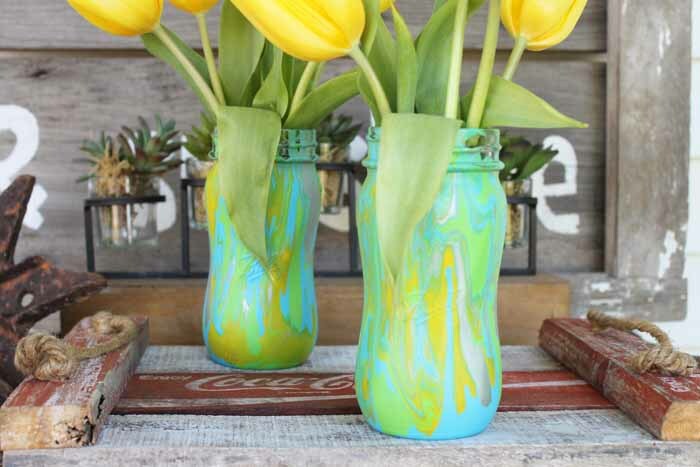 The spiral jars were a fun twist to this project but you can use any jars that you love. A glass vase would even work. 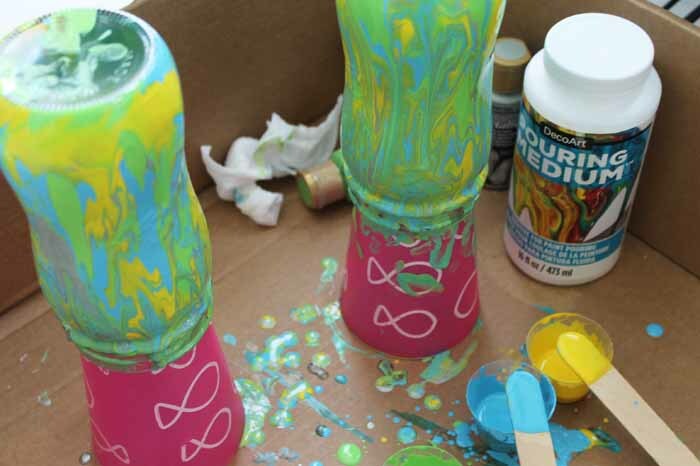 What will you be using acrylic pouring on? Whatever the surface, I bet it will look amazing when you are done! I love those twisty style jars! Ohhh, those jars are neat. And I love the yellow tulips in them. How lovely, they look like so much fun to make. Pinning.